As soon as I flip my calendar from February to March my thoughts jump to roses and how many I want and where am I going to put them and do I have enough sun and on and on. I become more than slightly obsessed. The new hybrid tea roses get me every time. Last year it was Blue Girl, the year before it was Scentimental. Roses are a very versatile landscape plant. Grow them up arbors, plant them in herb gardens, use them in mass for a blooming hedge or fence or even grow them in containers. Every garden should have at least one rose. The only set in stone requirement roses have is sun. Most roses need at least 6 and preferably 8 hours of sun even in the summer. 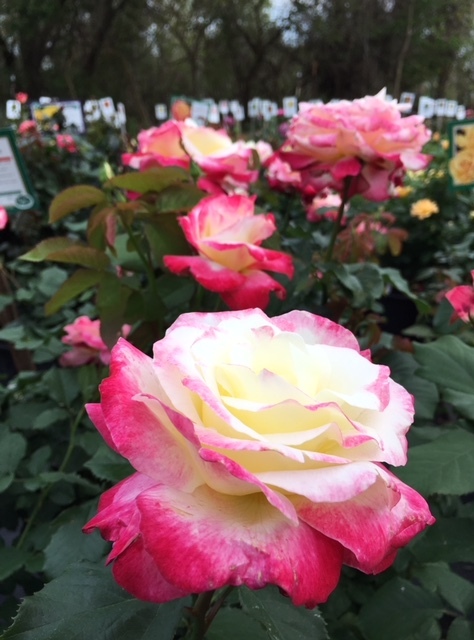 When our Weeks roses come in March there is always a flurry of phone calls and a rush of customers heading out to pick up their favorite roses before they are gone. 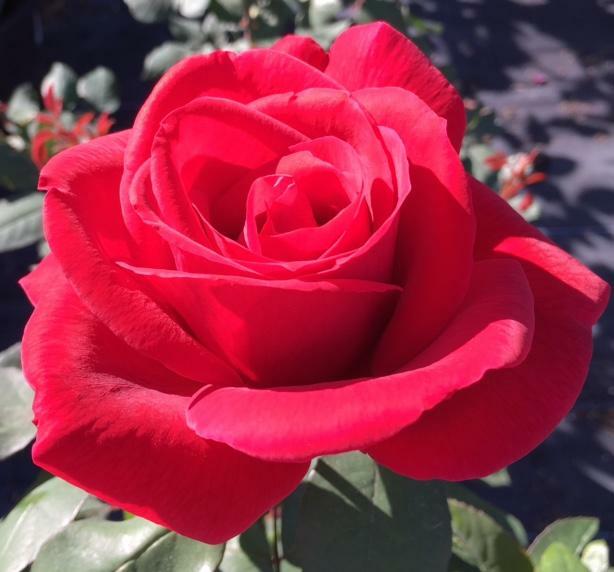 Weeks roses come in all different varieties, shapes, sizes and colors.The most popular is the Hybrid Tea. Teas are the quintessential roses that florists adore. They have single perfectly shaped blossoms on large long stems.They are great for cutting and are long lasting in a vase. Floribundas are another type of rose we get from Weeks. We also get a few from the Antique Rose Emporium. Floribundas are medium compact shrubs that look great in a casual garden. The flowers are smaller than a hybrid tea’s and bloom in clusters, making a beautiful small bouquet on the rose bush. Floribundas are one of my personal favorites as they bloom constantly and have great disease resistance.The Grandiflora class of roses is a great mix of the hybrid tea type and the floribunda. 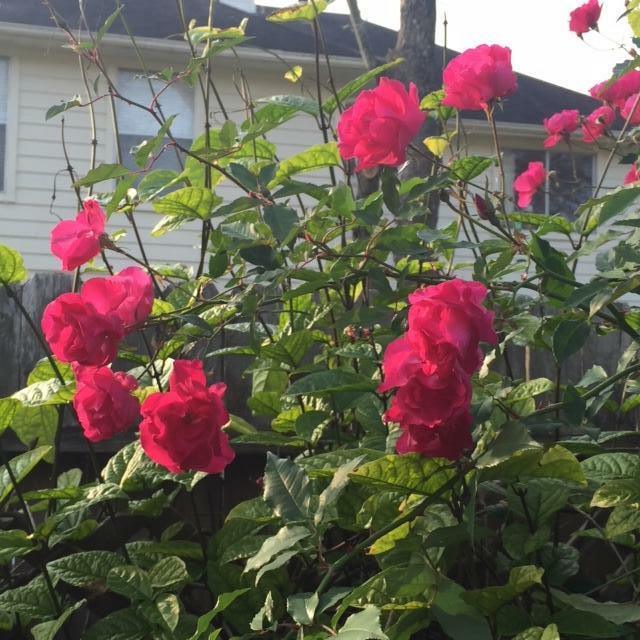 The shrubs are large like a hybrid tea with large flowers that form clusters on long stems. One cut branch of grandiflora blooms makes a vase full of flowers.The last two types of roses we get from Weeks are climbers and shrubs. The class names say it all. Climbers ramble or can be trained up trellises or walls. Shrub roses are large shrubs with large flowers. These roses make great borders or living fences. For some reason, a lot of people are scared to try roses in their yard or they think they need a formal rose garden to grow roses. Roses are very easy to grow and can be grown in any type of garden. I always grow my roses in with my herbs. Last year I added some veggies in the same bed with marigolds, cosmos and zinnias. The combination was beautiful. Just make sure that the plants you grow with your roses can take the 8 hours of hot summer sun. Roses love water but not on their leaves. The biggest problem with growing roses on the gulf coast is a fungal disease called black spot. The rain and humidity in spring causes the fungus to grow. Just like the name implies, the fungus shows up as yellow spots on the leaves which quickly turn black. I do preventative fungus treatments using neem oil. If you start your neem oil schedule before fungus becomes a problem on your roses you can keep black spot disease under control. Plant roses according to our planting guide. Rose roots hate sitting in water and will quickly rot if they are not planted in a well-drained space. Leave space between roses so they have good air circulation. This will help with fungus problems. Roses prefer acidic soil. All of our rose fertilizers contain ingredients that make them acidic. Everyone has a favorite rose fertilizer but my choice is Microlife for azaleas, azaleas and roses need the same food. It feeds your roses and your soil helping to keep your plants healthier. Whatever rose you choose to grow this year is up to you. There is such a large variety of color, fragrance, size and shape that the choices seem endless. Come out and walk through the roses. Take your time. Stop and smell them, as the saying goes. One of the roses will call to you more loudly than the others. If you’re anything like me you will have several roses screaming in your ear before getting halfway through the display. Pick them up and take them home. Give them love and roses will amaze you for years to come. If you have a specific rose in mind, call us first to see if it is available. We will be happy to check for you or suggest an alternative. When most people think of fragrant flowers, I would assume roses come first to mind. Roses have such a wide array of colors and bloom types and growing habits and, yes, also fragrance. So, though Shakespeare wants us to believe differently, a rose by any other name does not necessarily smell as sweet. Actually, there are roses with no scent at all. 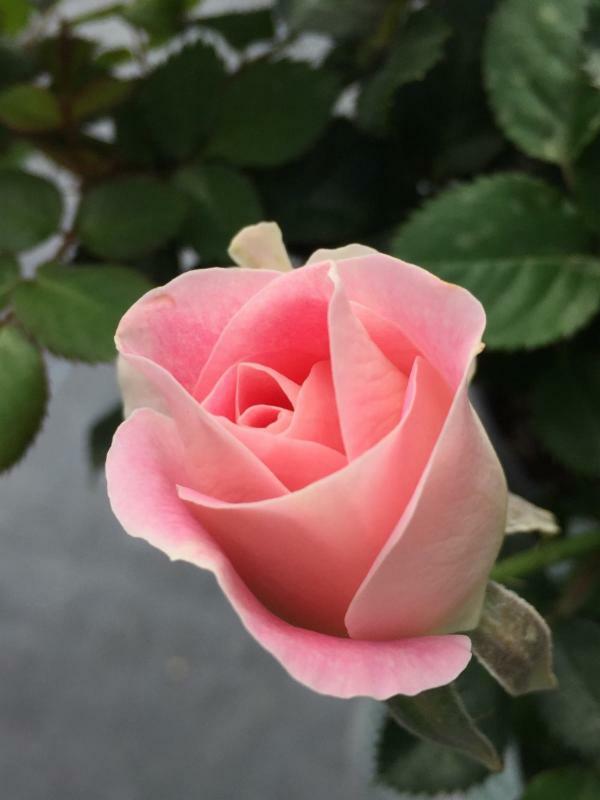 Peggy Martin is one very popular variety of pink climbing rose that has no scent. 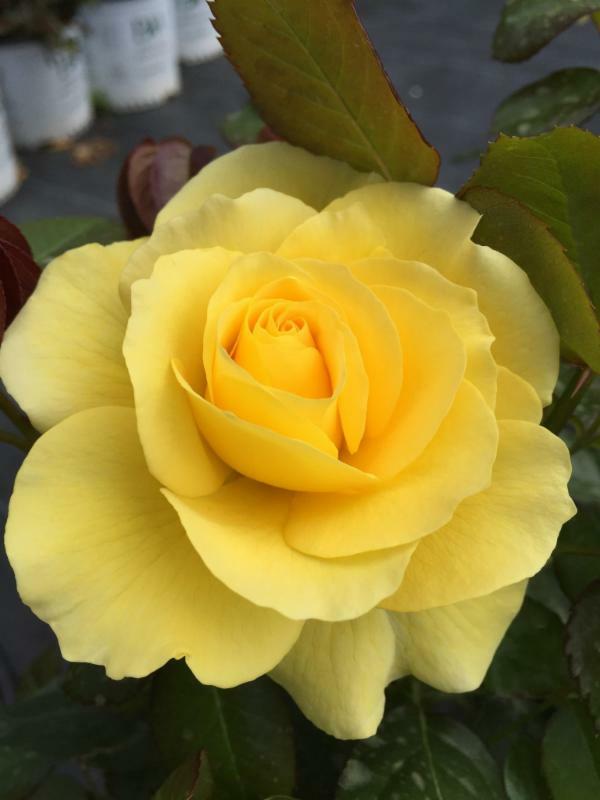 So, if you are trying to grow fragrant plants, and you are planning to use roses, be sure to smell the blooms before you purchase your plants. Also, check the temperature and time of day when you sniff the blooms. 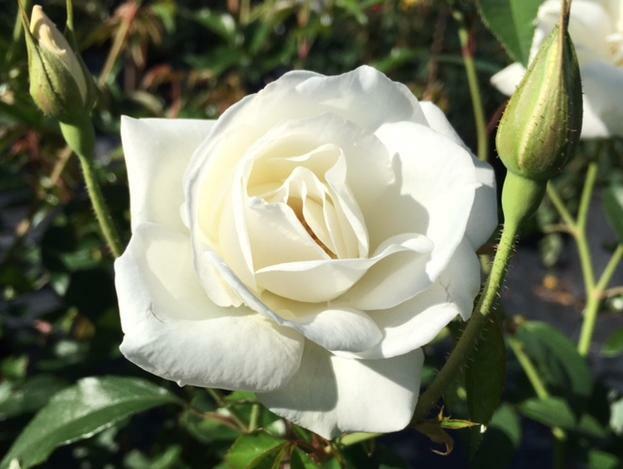 Some roses have stronger scents in cooler weather and some have stronger scents in the mornings. So, do a little research before picking your roses. Flowering Tobacco – This plant is also known as flowering tobacco. Grows to 48″ in sun to part shade. Can bloom all year and blooms range in colors including white and pink. during the warm seasons. Slow growing, 6′-10′ tall and wide. Part to full sun. Geraniums (lemon scented) – Blooms in summer with light pink to purple flowers. It’s the foliage with the lemon scent that you smell. Grows 18″ high and wide. Part to full sun. Natal Plum– White flowers are very fragrant and this plant will bloom all year in sun to part shade. Fruits will form on this plant, but leaves and flowers are poisonous. Pineapple Sage (Tender perennial) – Blooms, showy red flowers in late spring to fall. The foliage has a pineapple scent and can be used in drinks and foods. Grows 3′ to 4′ tall and wide. Full sun. Viburnums– Eastern snowball viburnum blooms masses of white flowers though summer. It will grow 12′ tall and 10′ wide or larger with age. This shrub requires part to full sun. This shrub is deciduous. Arabian Jasmine (can be considered a shrub as well) – The fragrant white flowers open at night and bloom June through September. This plant will reach 6′ to 8′ tall and 3′ to 4′ wide. Part to full sun. Passion vine – The incense variety blooms violet to lavender from late spring to early fall in sun to part shade. This vine can grow to 10′ long. Rangoon Creeper– Also known as Drunken Sailor, this plant blooms in clusters of red flowers that fade to pink from late spring to mid fall. Can grow to more than 40′ in sun to part shade. This is a tender perennial. Magnolia – Brackens Brown Beauty is a moderate grower to 50′ tall and 30′ wide in full sun. This variety blooms in late spring. The creamy white flowers are very fragrant. Sweet Bay Magnolias are moderate growers to 20′ tall and wide in part sun. The creamy-white, lemon scented flowers appear through the summer. These are just a few options for adding fragrance to your garden. There are so many more…. Spring is here and I am looking forward to the aromas of freshly mowed grass and sweet smelling blooms. Time to add some sweet-smelling plants to your garden too. Antique Roses are one of the most versatile and carefree perennial shrubs for your garden. They can be formal or informal, for flower, vegetable or rose gardens, or used in the landscape as focal points, borders or hedges, or filler plants in your landscape. I have seen beautiful hedges of Old Blush roses and many stunning rose covered arbors. Antique roses can be grown up trellises or pergolas, espaliered against walls, or left to ramble on the ground. 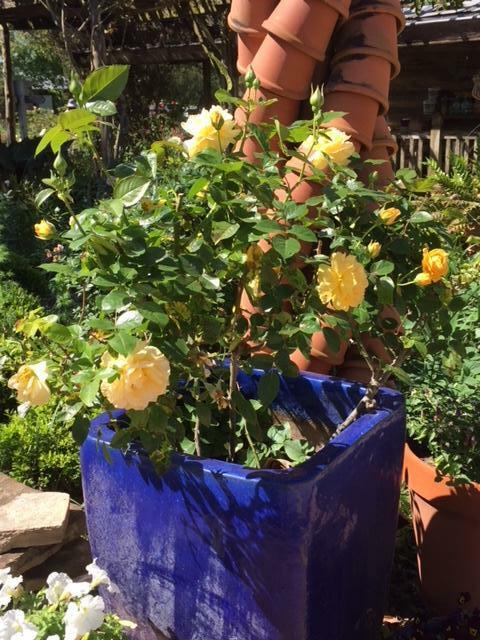 The smaller antique roses do great in containers that can be placed on patios, decks or in the garden itself. 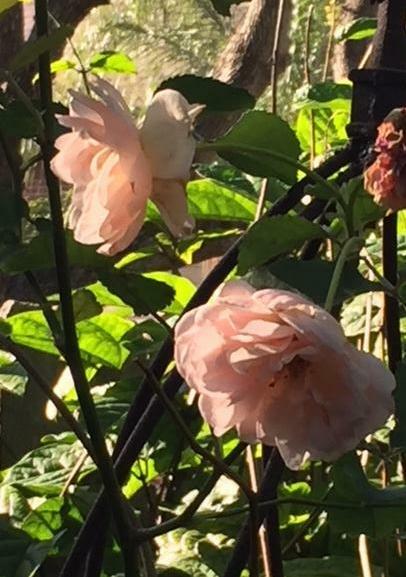 There are infinite ways to add antique roses to your garden. There are several different types of antique roses. Some do better in our zone 9 climate and humidity than others. 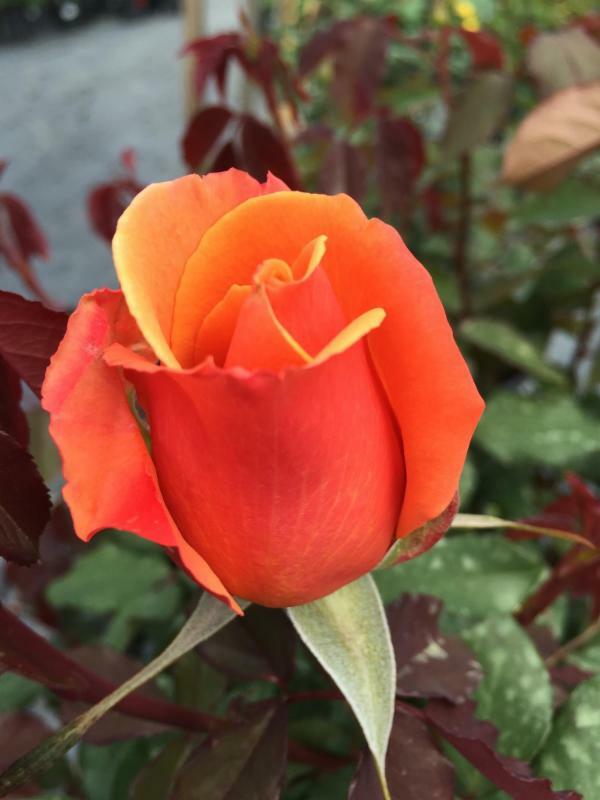 The roses we carry at Maas are especially suited for our area. 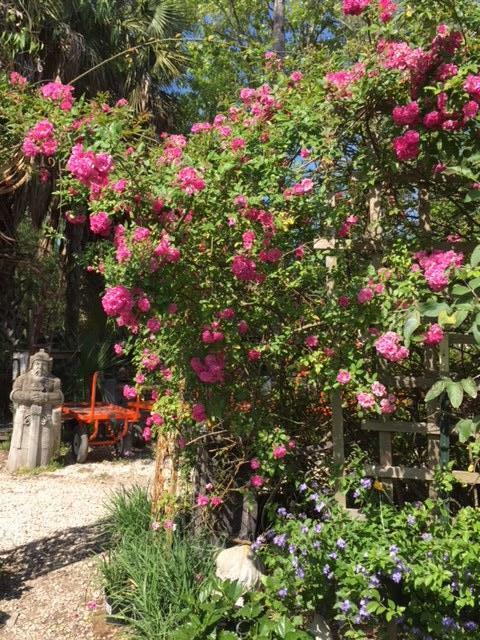 Most of our antique roses come from the Antique Rose Emporium in Brenham, Texas. There are three groups of rose titles at the Emporium. All of the roses are classified as old roses. Old or antique roses are defined as rose varieties that were introduced prior to 1867. Antique roses can also be defined as roses that have been in cultivation for at least 75 years and that have old rose qualities such as flower form, color, and fragrance. Some of the antique roses have the EarthKind designation. 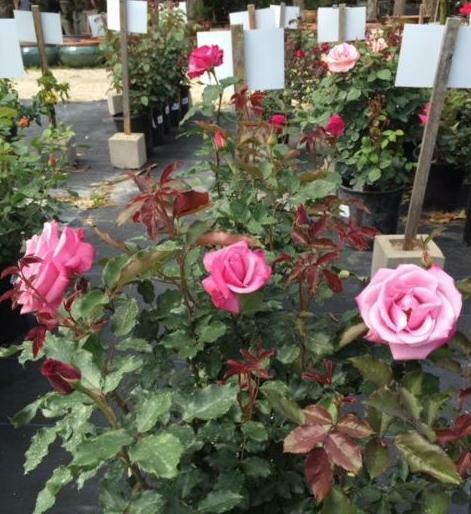 EarthKind roses are screened by the Texas Agrilife Service through Texas A & M University. These roses are selected for their durability and ease of care. They go through a rigorous testing program before they are rewarded the EarthKind label. Found Roses are roses that have been rescued by the Texas Rose Rustlers.These rose enthusiasts have traveled Texas taking cuttings from abandoned old homesteads and cemeteries. Found roses have survived on their own with no care for years, proving their toughness. 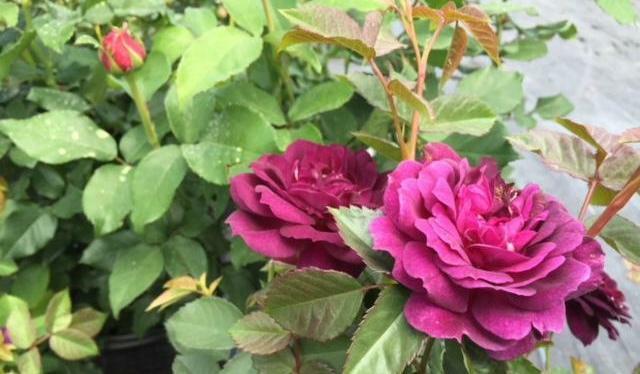 The Antique Rose Emporium’s Pioneer rose series are newer roses that have been bred for their versatility and durability in the landscape. Antique roses have a vast assortment of flower color, shape and scent. Some of the roses also produce rosehips which are a great source of Vitamin C and very decorative as well. Your antique rose choices are limitless. It’s up to you to decide your personal favorite. Caring for your antique rose is very easy. Roses need at least 6 hours of direct sunlight. They need well draining acidic soil and regular watering when first planted. Plant your roses above soil level as explained in the Maas Planting Guide. If you do not have one of these guides ask for it at your next visit to our store. Mulch is the secret to happy roses. Mulch your roses to two to three inches deep. Keep the mulch away from the trunk of your rose to prevent disease or rot. Mulch will keep the water in and the weeds out of your garden. 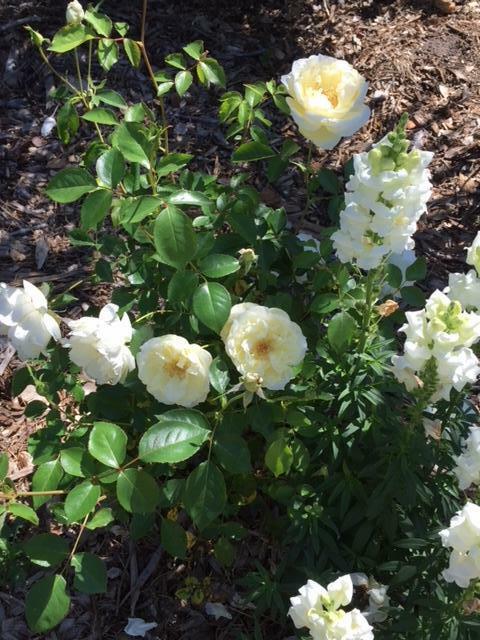 Fertilize your roses every six to eight weeks during their bloom period with a good organic fertilizer for acid loving plants. Antique roses can do without fertilizer but I prefer to fertilize mine. When first planted, water roses regularly. A good, deep watering two to three times a week is preferable to watering shallowly every day. Deep watering promotes deep root growth and helps with good drought tolerance for a healthier rose. In February, around Valentine’s Day, cut your roses back to your desired height. Roses benefit from a good pruning. I prune my roses in August also. This promotes a fresh flush of fall blooms. 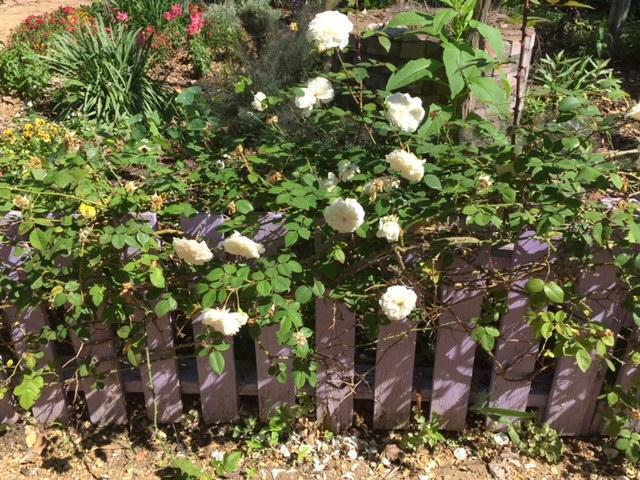 Now, sit back, relax and enjoy your beautiful blooms and the fantastic fragrance of these old-fashioned roses.They are definitely the favorite flower of my garden and always will be. My absolutely favorite plant in my garden is my sasanqua camellia. I planted it after I ripped out all of the awful builders landscaping plants in my new front yard. That was 25 years ago. My camellia has provided me with 25 years of so much joy that I think everyone should have at least one sasanqua in their garden. Sasanqua camellias are smaller, more open, delicate bushes than their sister shrubs, japonica camellias. They bloom from late summer to early winter depending on the type. 3 to 4 inch blossoms of anything from white to light or bright pink to cherry red adorn these shrubs in a profusion of blooms. The blooms can be single, semi-double or double. Some of them even have a heavenly tea or rose scent that rivals most flowers for fragrance. The foliage starts out a coppery-bronze and turns dark green at maturity. All camellias are evergreen making them a great landscape shrub. Sasanqua camellias need to be planted in partial shade in evenly moist, acidic, well-drained soil. After established, these camellias are drought tolerant but perform better with consistent watering. Because of the size and shape of the shrub, these plants make great foundation plantings or low borders for your garden. Sasanqua camellias can also be shaped into tree form and planted in a courtyard, corner garden bed, or a formal garden. Their versatility allows them to blend in with other landscape shrubs and become a great backdrop in a garden. Their bloom time makes them a perfect garden companion as sasanqua camellias bloom when other blooming plants in the garden are finished. Because these shrubs enjoy part shade their bright blooms brighten an otherwise darker part of the garden. Come to Maas and check out our huge selection of camellias. Lots of them are blooming right now and it is the perfect time to see them, smell them and plant them. We can answer any questions you may have about our camellia selection. The camellias I have listed below are just a sample of what we have at the nursery. Come out and pick your favorite. We hope to see you at the nursery soon! Moderate upright grower to 8′ to 10′ tall and wide. 8′ to 10′ tall and wide. Frilly white blossoms with bright yellow stamens and dark green foliage. Ideal for smaller space or container. 4′ to 5′ tall and wide. 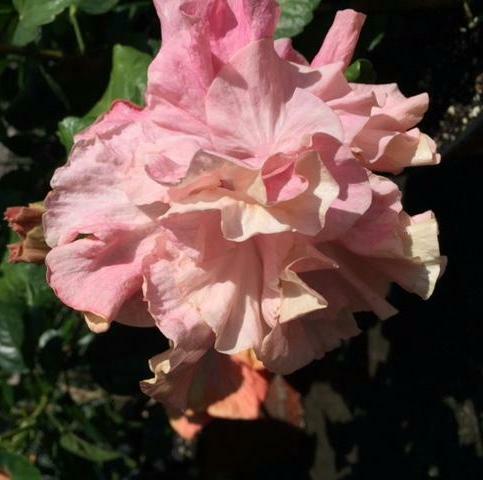 Ruffled white blooms with bright pink trim and dark green foliage. 6′-8′ tall and 4′-5′ wide upright bush. Deep red large semi double peony formed flowers with bright green evergreen foliage. 4′- 5′ tall and 5’to 6′ wide. Brilliant pink double blooms and a short pendulous form with dark evergreen leaves.Makes a great cut flower. 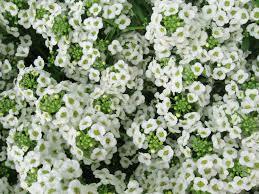 Can be used as a ground cover or espalier. Blooms fall to early winter. 2′ – 3′ tall and 8′ wide. Making it Through The Rain (Barry Manilow). Rain rain go away come back another day. We have all sung that little jingle at some time in our life.We have Raining on Sunday,(Keith Urban),Rainy Days and Mondays,(Carpenters), there is Kentucky Rain,(Elvis), Smokey Mountain Rain,(Ronnie Milsap), Rains Down in Africa,(Toto) and it Never Rains in Southern California,along with A Rainy Night in Georgia. Now I begin to think there is Signing in the Rain,(Gene Kelly), Kissin’ in the Rain,(Toby Keith), Raindrops Keep Falling on my Head,(B.J. Thomas). Then we have Purple Rain,(Prince), Fire and Rain,(James Taylor), Rainy Day Feeling Again, Here Comes the Rain,Love a Rainy Night. Again we have Have You Ever Seen the Rain and Who’ll Stop the Rain, (CCR). There is Rhythm of the Rain,(Cascades), Rain Fell Down,(Stones) and finally Rain is a Good Thing,(Luke Bryan). So by now you may be wondering what does all these rain songs have to do with production? Read on for the answer!! It all starts with the Zephyr Lily. The Zephyr winds from the west must blow in the rain for the Zephyr lily,( AKA Rain lily ). This easy to grow bulb, a crocus look alike, transforms like magic across the landscape. Get it? Yes it blooms after the rain. Although many of the common names include lily, these plants are in the Amaryllis family. The Rain Lily is a hardy perennial that can be planted in mass groupings or here and there in nooks and crannies. This plant is easy to cultivate and fast to naturalize. This is one plant that is perfect for our hot summer climate, growing in full sun and or part shade with well drained soil. So the production plant of the month is the rain lily. The production team planted 3,000 rain lily bulbs in wonderful colors of pink,white and yellow. Remember with the Magic lily, Fairy Lily, or Rain Lily, the” MAGIC” is the rain, it’s a good thing. Please stop by the nursery to witness the magic. I admit it. I am a compulsive plant collector. I collect native plants, heirloom vegetables, antique roses and all kinds of salvia. 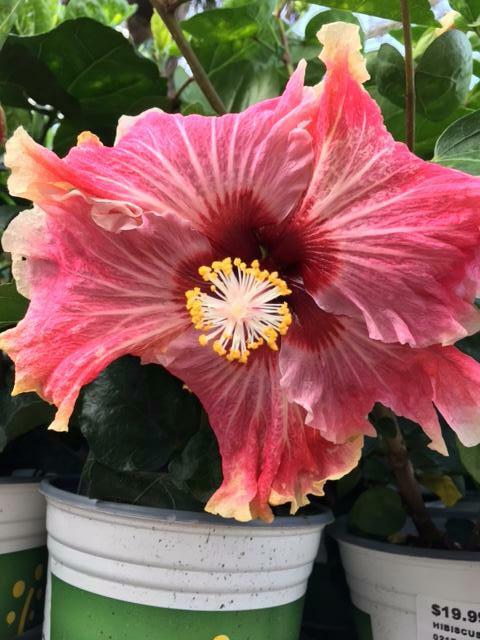 My new obsession… tropical hibiscus.They are the most showy, colorful, stunning, spectacular plants and flowers in the world! (in my opinion) And the fun part is growing them is easy. 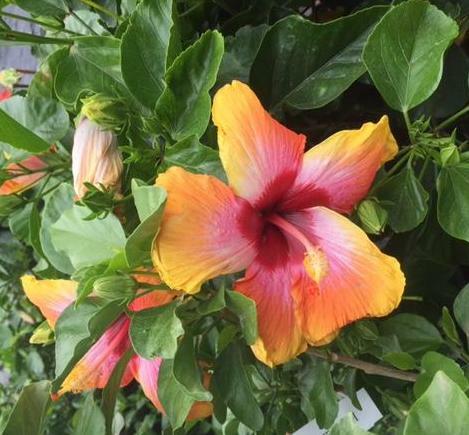 Tropical hibiscus have a few requirements but nothing hard. 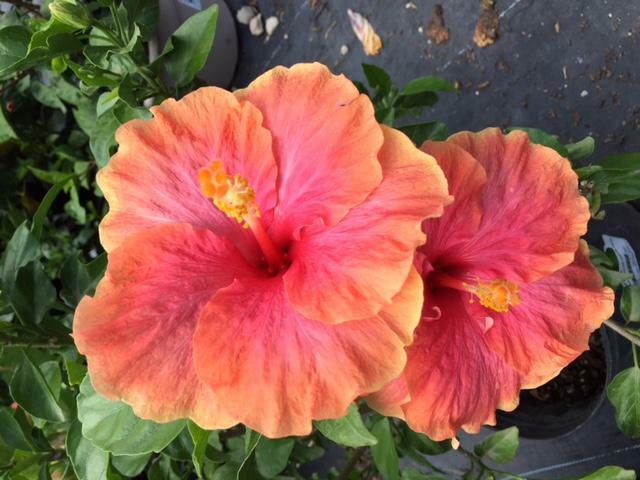 These hibiscus need full sun to filtered light in our hot summer afternoons. Water them regularly but don’t let them get soggy. A very important requirement is fertilizer. Hibiscus really need their own food. These plants originate from volcanic regions which are high in potassium. Potassium is the third number on your fertilizer container. 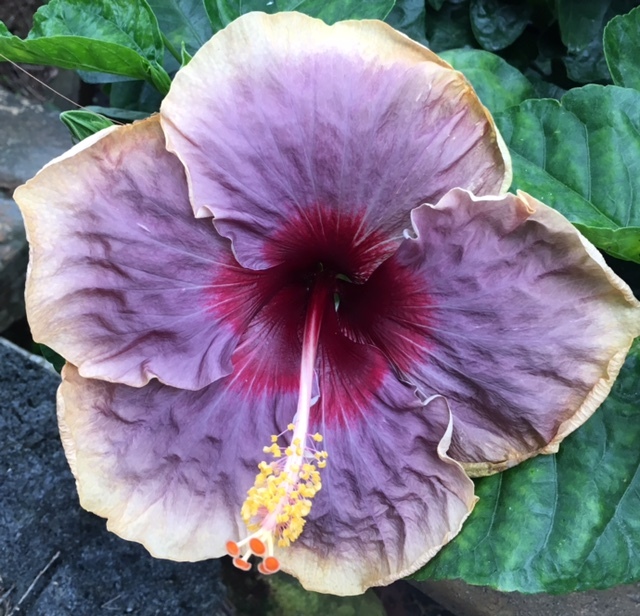 Maas carries food specifically for hibiscus to meet the unique nutrient requirements of these plants. I use granular food because it is easy. 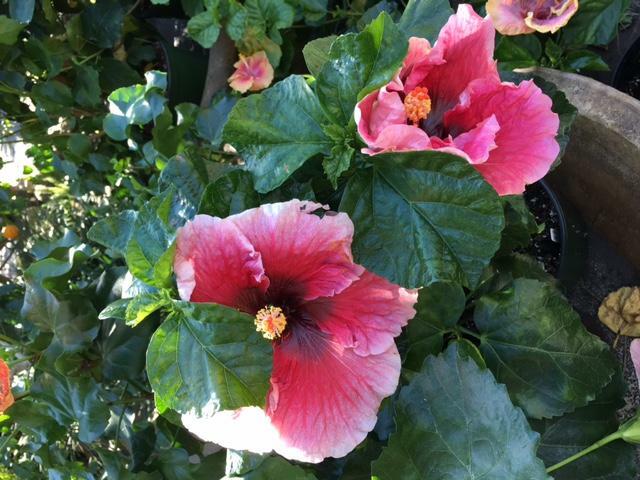 Water your hibiscus a little first, sprinkle the food around the plant and water again to start the feeding. Slow release fertilizers will feed the plant every time you water. 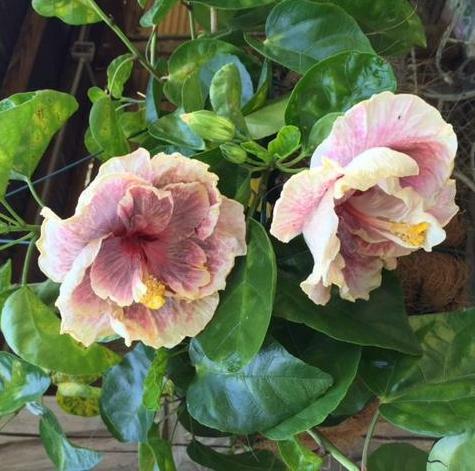 Do this for your hibiscus every month or more during the blooming season. My hibiscus in pots get fed every two weeks. 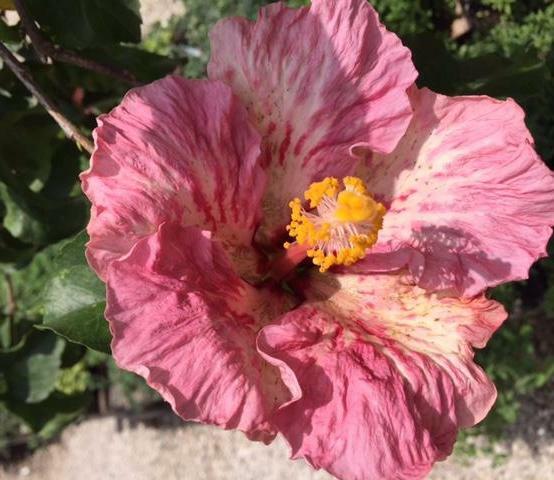 The only real issue with hibiscus is they are not freeze hardy. Bring your hibiscus pots in if the temperature gets to the low thirties. For hibiscus planted outside use Insulate cover over the plants and secure it to the ground with rocks. Do not use plastic as this will burn the plants and bed sheets sometimes are not enough cover. One of my colleagues at Maas is very clever. She uses cotton backed plastic picnic table cloths to prevent freezing hibiscus. The cotton side goes on the plants. She says they work great. If after all your precautions your plants still freeze, do not pull them up immediately. 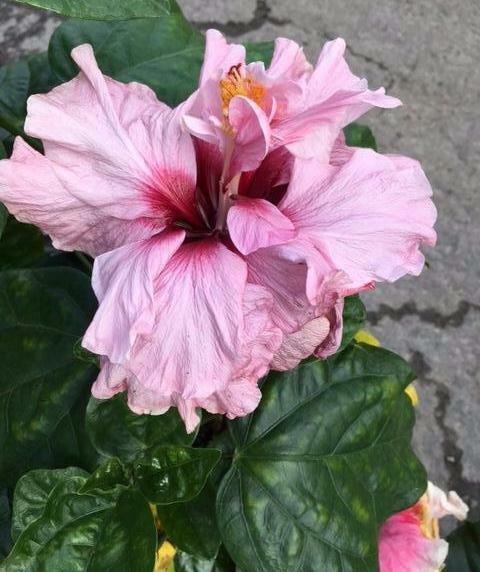 I have had hibiscus come back from the dead several times because the roots did not freeze. In spring, cut the dead plants back to the ground and wait. Miracles do happen. 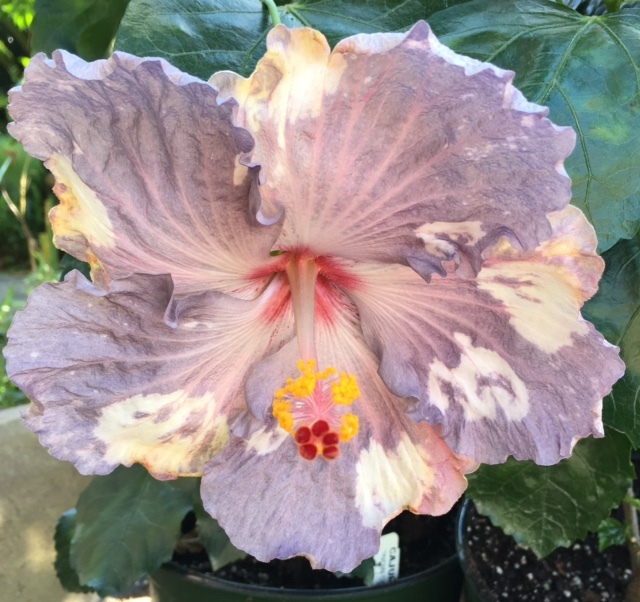 Sometimes hibiscus get pests or fungus. 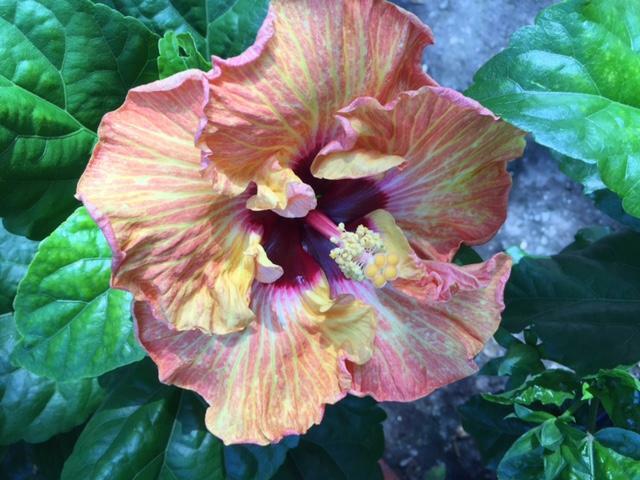 Treat your hibiscus with Triple Action when this happens. It is an organic pesticide and fungicide all in one that does the trick every time. Spray your plants when you first notice the problem, Don’t let the bugs get out of hand. 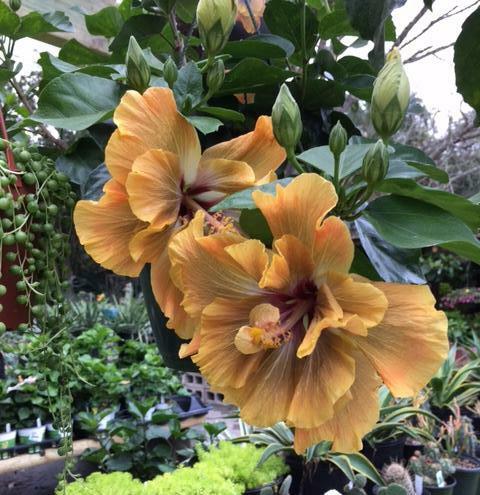 There are so many beautiful pictures of hibiscus from the nursery. Here are some examples of the colors and varieties Maas carries. If you want a special variety, call before coming. Our stock changes daily. My advice is come to the nursery and see what we have. It’s a fun outing and the hibiscus won’t disappoint! Are you looking for an interesting tropical plant for that spot in your yard that doesn’t drain well? Or perhaps you’re looking for a striking plant for a container or water garden. Take a look at the many elephant ear varieties available, a group of tropical perennials grown for their large heart-shaped leaves, for both sun or shade. Elephant ears belong to the family Araceae, as do caladiums, and can either be from the genera Colocasia (Taro) or Alocasia, native to tropical Asia and Pacific islands, or Xanthosoma, native to tropical America. All are grown year-round in more tropical areas but die back and go dormant during our zone 9 winters. Colocasia varieties, perennial in USDA zones 8-11, prefer full sun and wet soil, and can tolerate standing water. These can make an attractive addition to any water garden. The plants grow from tubers or corms, with propagation by division only. Alternately, Alocasia varieties, perennial in zones 8b-11, prefer shade or part sun with frequent watering in well-drained soil. Grown from both tubers and rhizomes (underground creeping root stalks), both can be used for propagation of new plants. By appearance, Colocasia varieties can be identified by their downward pointing leaf tips, with leaves extending from long petioles (succulent stems) coming directly from the corm and attaching near the middle of the lower surface of the leaf. Alocasia and Xanthosoma leaf tips point outward and upward generally, with the petioles attaching at the base of the leaf. The plants do well in pots with lots of organic matter mixed into the soil and appreciate regular watering. Many varieties of the Colocasia genus are wetland plants that can also be featured in water gardens, but Alocasia varieties prefer well drained soil. Both varieties do well in part shade to sun with some protection, but the darker purple-leaved types especially enjoy full sun. In beds, elephant ears can be planted en masse, or play well with other striking tropicals like cannas, criniums, or bananas. Coleus and caladiums also make good planting companions. Many elephant ear species have traditionally been grown as a staple food for the edible starchy corms or tubers. Some fantastic Colocasia selections at Maas Nursery include Black Coral, a clumping variety with deep purple leaves, growing 3 to 4 feet tall and wide, and Hawaiian Punch, a clumper with small 8-inch-long green leaves and bright red stems. Alocasia selections include the Yucatan Princess, a dark green leafed beauty with burgundy stems that grows 6 to 8 feet tall and 4 to 5 feet wide, or the large similarly sized Portadora with dramatic ribbed leaves. We also carry Lime Zinger, a bright chartreuse Xanthosoma variety growing 2 to 4 feet tall and 1.5 to 3 feet wide that will brighten up any planting area. Sunlight: Marigolds can grow in full sun to partial-shade, but it is preferable to plant them in sunny locations as shading may have an adverse effect on flowering. Soil: Marigolds grow best in moist, well-drained and fertile soil. Spacing: Grow your tall Marigold varieties 40cm apart and the dwarf varieties 20cm apart to give room to the growing branches. This will result in a uniform display. Watering: Marigolds do not need regular watering but require so during the dry spells. Be careful not to sprinkle water on the flowers of tall varieties, otherwise they become water-logged and soft. It is better to water Marigolds during the early morning hours so that there is sufficient time for the water on the foliage to dry up. Fertilizers: Marigolds do not require fertilizers if the soil is rich in organic material. For poor soils, you can add a slow-acting, granular fertilizer(about 1 teaspoon per plant), but be careful not to add an excess of fertilizers which may result in an increased growth of foliage instead of flowers. Mulching: When the marigold seedlings are tall enough, spread a 2 or 3 inch layer of some organic material such as dried grass, wood chips or chopped leaves on the soil around them. This mulch reduces weeds, retains moisture in the soil, cools the soil, and fertilizes the soil as it decomposes. Okay, this is the first time that I have to say this, but I will repeat it each month until spring has sprung. You ready? Here you go: What to do if there is a freeze warning for our area? Water your plants; this protects the roots, so water thoroughly, not just for 60 seconds. Cover your plants tenting the fabric to the ground then secure it with pegs. Once the weather warms up remove the fabric. For hanging baskets, take them in or set them on the ground, water and cover them. For plants in containers, take them in or water and cover. These instructions are for plants that are tender to the cold. This doesn’t freeze proof your tender plants but it will help add just a little warmth and that may be all that is needed to save a plant. It is better to be prepared than scrambling around at the last minute trying to find your cold weather gardening supplies. So, place your N-Sulate cloth and pegs where you can find them. No worries if you don’t have any, we have all you need in stock at the nursery now. You’re ready! November can be a great gardening month here, especially for certain flowering plants; like bulbs, annuals, herbs, and camellias. I love all this beautiful color, let’s get the planting started! Bulbs are here and are ready to be planted. For forcing inside your home, ziva narcissus, amaryllis, and hyacinths will look beautiful and give your home a festive look for the holiday season. The ziva’s will bloom in 3-4 weeks, the amaryllis bulbs take 3-8 weeks to bloom (depending on variety), and the hyacinths will bloom in 6-8 weeks. You can stagger your plantings to keep fresh flowers blooming in your home all season. When the amaryllis are finished blooming indoors you can replant them in your garden for blooms the following spring. Fun, fun, fun! But don’t stop there, we have many different amaryllis bulbs, tulips, ranunculus, daffodils, Dutch iris, leucojum, lycoris, and other varieties of narcissus besides ziva’s that are just as fun! When to plant your bulbs? Tulips can be planted from mid-December through mid-January, they must be refrigerated for 4-6 weeks at about 45 degrees before planting. We keep our tulips and hyacinths in the fridge so they will be ready to plant at the right time. Daffodils, Dutch iris, leucojum, narcissus, hyacinths, and ranunculus can be planted this month. To learn more about bulbs, come to our Bulb Class on Saturday, November 19th. This class will be hands on, we are going to layer the bulbs in a pot and top it with annuals. You won’t want to miss this one. How about beautiful color now? Cool weather plants like pansies, lobelia, alyssum, violas, stock, calendulas, snapdragons, English daisies, cyclamen, phlox, petunias, nasturtiums and dianthus can add wonderful fall and winter color to your containers and landscapes. Did I mention how beautiful dianthus looks with my dog, Julep? What do you think? Don’t forget to add sweet peas, foxglove, holly hocks, and delphinium for early spring color, to your garden, there is no time like the present. Full sun, well-draining soil, water, and Microlife are all that is needed to keep these cool weather plants blooming for months. This would also be a good time to plant herbs in your garden; the cold weather makes for strong roots. Oregano, salad brunet, winter savory, chamomile, dill, rosemary, and fennel are just a few of a long list of herbs to consider planting now. Most herb plants need full sun and well-draining soil. Give your plants plenty of room in the garden, when you buy herbs in a 4” container you may think, “Oh, good a small plant”, but no, no, no, herbs are bigger than you think. Herbs will add a whole new dimension to your garden with fragrant leaves that attract beneficial insects and many can be used to enhance the flavor of your meals. Fertilizer is only needed a couple of times of year. Oh, so easy and very fragrant. leaves and usually have bigger blooms. The forms of the Japonica Camellia blooms are usually single, semidouble, anemone, peony, rose, or formal double. Japonica camellias start off as shrubs, growing to about 6-12 feet tall and wide, but can slowly become a tree reaching 20 feet tall. Camellias are easy to grow here and are just too beautiful to not be included in your garden. For the healthiest plants, with the most blooms, give your camellias good organic soil that drains well, regular water, and a fertilizer for acid loving plants. Protect them from our afternoon sun and strong winds and prune them at the right time, just after they finish blooming. Your camellias will be simply beautiful.